Amsterdam, Amsterdam University Press, , 316 p.
Much as in other locations around the world, civil uprising, particularly rooted in the activism of young people and students, plagued France during May of 1968. Massive strikes and occupations succeeded in paralysing France's economy and bringing the country to the verge of a leftist revolution. This book studies the life trajectories of many ordinary protestors during the period, using statistics and personal narratives to analyse how this activism arose, its impact on people's personal and professional lives, and its transmission through familial generations. Julie Pagis is a researcher in political sociology at the French National Center for Scientific Research (CNRS), member of the Institute for Interdisciplinary Research on Social Issues (IRIS, EHESS, Paris). 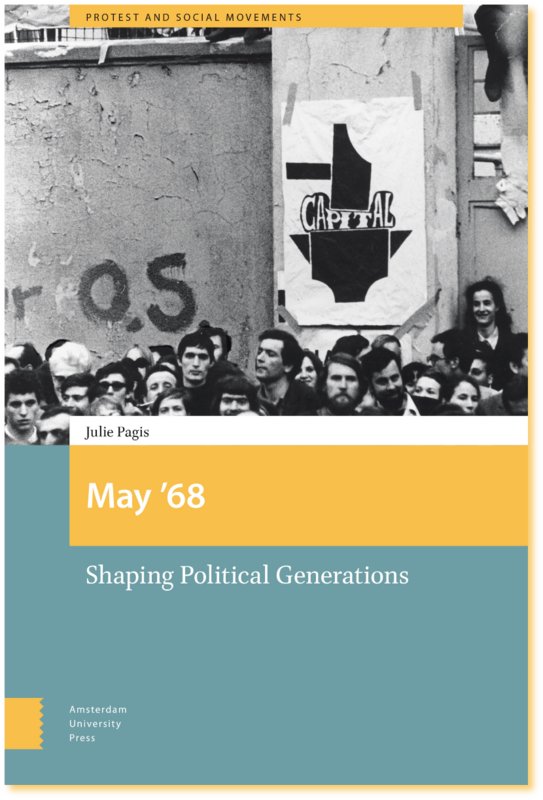 Her research on the biographical consequences of activism in May’68 led to the publication of her PhD: Mai 68, un pavé dans leur histoire (Presses de Sciences Po, 2014). She devotes another part of her research to children perceptions of the social and political order, and recently published, with Wilfried Lignier, L’enfance de l’ordre. Comment les enfants perçoivent le monde social(Seuil, 2017). Amsterdam University Press, Series "Protest and Social Movements", 2018, 316 pages. ISBN: 9789462983755. Originally published as Mai 68, un pavé dans leur histoire (2014), Presses de la Fondation des Sciences Politiques. Translated by Katharine Throssell. This translation was made possible thanks to financial support from CERAPS (Centre d’études et de recherches administratives, politiques et sociales) from the University of Lille 2, and from the LabeX TEPSIS at the EHESS (ANR-11-LABX-0067).